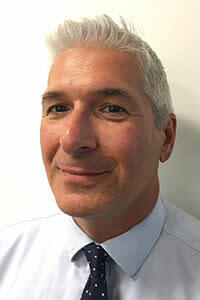 Carlson Wagonlit Travel, the global travel management company, today announces the appointment of Simon Nowroz as Chief Marketing Officer, with immediate effect. Reporting to Patrick Andersen, Chief Strategy and Commerce Officer, he will be based in Minneapolis. Simon joins from Anderson Capital Advisors, a specialist advisory firm he co-founded to focus on maximising customer returns from creative digital strategies, independent of market directions. Prior to that he was Head of New Ventures with Travelport for two and a half years, and he was President and Managing Director APAC with the firm for nine years before that. He has over 25 years’ travel industry expertise covering consultancy, distribution, car hire and air. Simon has lived and worked in France, Hong Kong, the UK and the U.S. and is a graduate of Insead, Stanford and TVU.